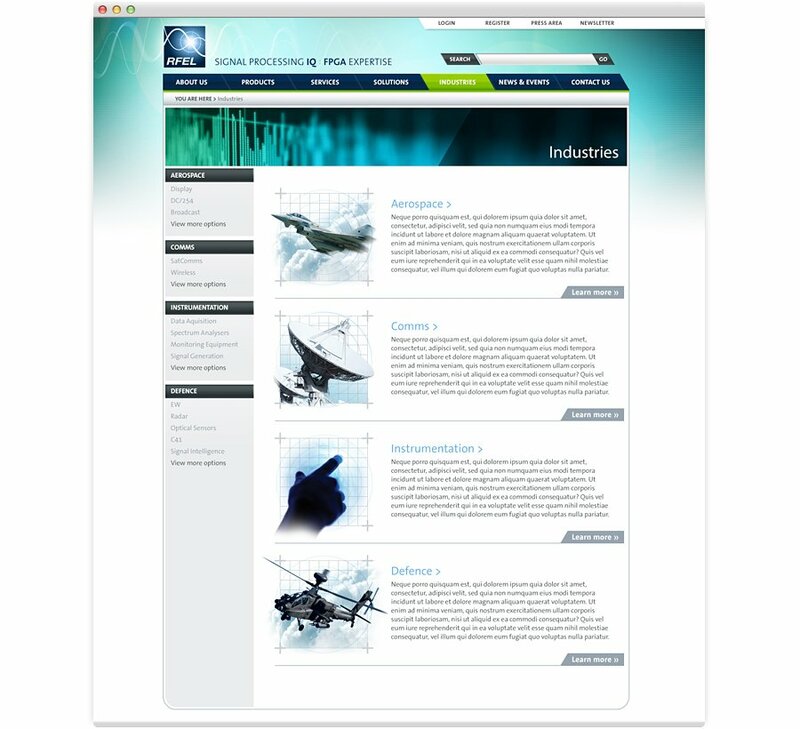 RFEL is an innovative electronics design and IP (Intellectual Property) company specialising in the development of high performance digital signal processing techniques and the development of new products for the high-growth markets of wireless communications, government services and defence. 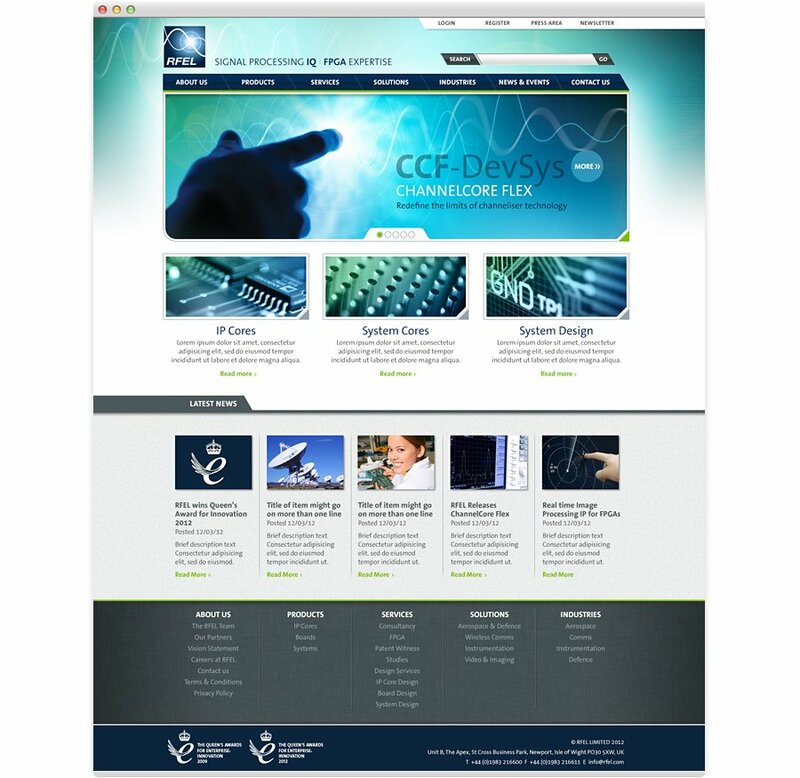 In conjunction with their re-branding we have produced their website. The site has been built using a Content Managed System to allow updates to be made easily. Because of it’s highly technical nature it required the ability to filter through all of their products by industry or solution making it easy to find the right product. The site allows the viewer to filter their product search either by industry or solution.